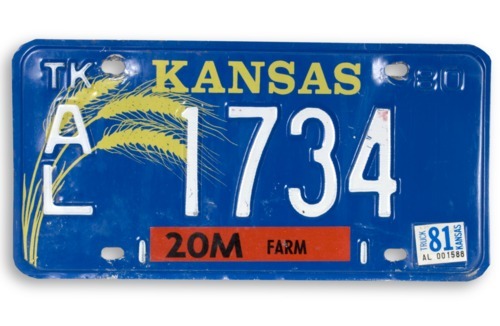 Rectangular aluminum license plate issued for trucks in Kansas. Includes wheat graphics. This plate was used on a 1955 Ford grain truck owned by the Geffert Family of Allen County. The truck was used to haul corn, milo, soybeans, and wheat, and is now in the collections of the Society.